Production: Argui-Film; black and white, 35mm; running time: 44 minutes, some sources list 47 minutes; length: 1200 meters. Filmed 24 December 1932 to 22 January 1933 in Gaumont studios. Released 1946 (banned by the censors in August 1933 until 15 February 1946). Production supervisor: Henri Storck; screenplay: Jean Vigo; assistant directors: Albert Riera, Henri Storck, and Pierre Merle; photography: Boris Kaufman; editor: Jean Vigo; sound engineers: Royne and Bocquel; music: Maurice Jaubert. Cast: Jean Daste ( Superintendent Huguet ); Robert Le Flon ( Superintendent Parrain, called "Pète-Sec" ); Delphin ( Principal ); Blanchar ( Superintendent Général, called "Bec de gaz" ); Larive ( Chemistry professor ); Mme. Emile ( Madame Colin, called "Mère Haricot" ); Louis de Gonzague-Frick ( Le Préfet ); Rafa (Raphael) Diligent ( Fireman ); Felix Labisse ( Fireman ); Georges Vakalo ( Fireman ); Georges Patin ( Fireman ); Henri Storck ( Le Curé ); Michele Fayard ( Correspondent's girl ); Georges Berger ( Correspondent ); Louis Lefebvre ( Caussat ); Gilbert Pruchon ( Colin ); Coco Golstein ( Bruel ); Gerard de Bedarieux ( Tabard ). 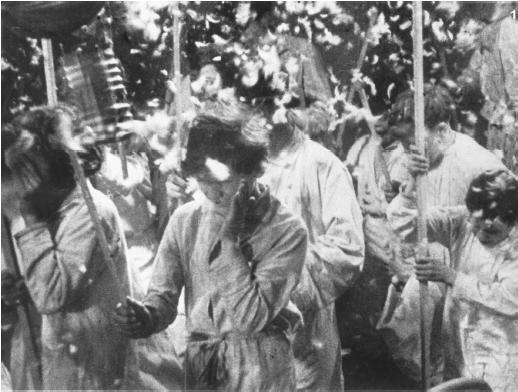 Vigo, Jean, Zéro de conduite , in Avant-Scène du Cinéma (Paris), 15 December 1962; in The Complete Jean Vigo , edited by Andrew Sinclair, New York, 1983; in Oeuvre de cinéma: Films, scénarios, projets de films, texts sur le cinéma , edited by Pierre Lherminier, Paris, 1985. Feldman, Joseph and Harry Feldman, Jean Vigo , London, 1951. Kyrou, Ado, Le surréalisme au cinéma , Paris, 1953; revised edition, 1963. Sallès-Gomès, P. E., Jean Vigo , Paris, 1957; revised edition, Los Angeles, 1971; New York, 1999. Buache, Freddy, and others, Hommage à Jean Vigo , Lausanne, 1962. Esteve, Michele, Jean Vigo , Paris, 1966. Smith, John M., Jean Vigo , London, 1967. Gorbman, Claudia, Unheard Melodies: Narrative Film Music , London, 1988. Cinémonde (Paris), 2 February 1933. Spectator (London), 13 September 1946. Agee, James, in Nation (New York), 12 July 1947. Barbarow, George, "The Work of Jean Vigo," in Politics , Winter 1948. Positif (Paris), no. 7, 1953. Sight and Sound (London), July-September 1953. Mekas, Jonas, "An Interview with Boris Kaufman," in Film Culture (New York), Summer 1955. "Vigo Issue" of Premier Plan (Lyons), no. 19, 1961. Mills, B., "Anarchy, Surrealism and Optimism in Zéro de Conduite ," in Cinema (London), no. 8, 1971. Velvet Light Trap (Madison, Wisconsin), Summer 1973. Teush, B., "The Playground for Jean Vigo," in Film Heritage (Dayton, Ohio), Fall 1973. Gorbman, Claudia, "Vigo/Laubert," in Ciné-Tracts (Montreal), Summer 1977. Henrikson, H. W., in Chaplin (Stockholm), vol. 26, no. 5–6, 1984. Agee, James, in Cahiers du Cinéma (Paris), no. 448, October 1991. Sidler, V., "Traeumer des kinos, Rimbaud des films," in Filmbulletin (Winterthur, Switzerland), no. 4, 1992. Steiff, D., "A Cutting Art," in Sight & Sound (London), vol. 3, no. 4, April 1993. Zéro de conduite is one of only four films made by Jean Vigo during his brief but notable career in film. (He died in 1934 at the age of 29 just before the release of his final film, L'atalante .) Zéro de conduite is a short feature concerning life in a boys' boarding school, focusing on four of the students. The title refers to the frequent "zeroes" they receive when they fail to conform to the standards of behavior imposed on them by their teachers. The film culminates with a student rebellion launched during a school assembly in the presence of local dignitaries. by the adults who control the children's lives. But in other ways the film is very different from its so-called successors. Vigo's films are admired for, among other things, their blend of realistic detail and a poetic-surrealist sensibility. This quality pervades Zéro de conduite . The opening sequence of the film is exemplary in this respect. As the film begins, two of the schoolboys share a train compartment on the way back to school after vacation. They play with various toys they have recently acquired, transforming them in the process: balloons become breasts, a small flute is played through the nose, and, using feathers, they dress themselves as chickens. Finally they light cigars, filling the compartment with smoke, creating a hazy dream-like image. In this atmosphere, the one adult in the compartment, who is sleeping and limp, is declared dead. If the scene opens with "realistic," concrete details (of decor and costume), it shifts in the course of the children's play, effecting an alteration in the tone and perception of the space. Similar transformations occur throughout the film. In the middle class a new teacher, and the only sympathetic one, performs balancing tricks on his desk and sketches a cartoon figure which suddenly becomes animated. In the world of childhood and imagination, magical metamorphosis can occur at any time. The behavior and appearance of the authority figures are held up for ridicule. The school principal is a midget who sports a large top hat; in his office he keeps the hat like a relic under a glass dome on the mantlepiece which he can barely reach. The science teacher is an obese, overbearing man who almost walks into a skeleton dangling in the classroom. During the commemoration day ceremony, the public audience is comprised of dignitaries in full-dress uniforms and life-size, costumed dummies. (If this was in part due to financial restraints on the production, it is fully in line with the film's representation of adults and ceremonious activity.) These characterizing details not only condemn the adult world to absurdity, but also contribute to the bizarre visual texture of the film and its partially dreamlike world. The most extreme excursion into fantasy occurs the night before the commemoration day assembly. In the dormitory, the rebellion is launched: all of the objects in the room are thrown around as the children express their disdain for authority. Part way through the scene there is a shift to slow motion as pillows and feathers fly, and the children parade through the room. The teacher in charge is unable to constrain them and falls asleep. In the morning he is tied to his bed and set upright in a gesture of mock crucifixion. The four leaders of the rebellion carry their flag to the roof and hurl various objects at the dignitaries assembled in the courtyard. The film concludes with the four boys marching up the rooftops towards the sky. Vigo's depiction of school life in Zéro de conduite is often described in biographical terms. In particular it is seen as expressing the misery he experienced as a child in boarding school and the subversive tendencies of his father, a militant anarchist who died (reportedly murdered) in prison when Vigo was 12 years old. While his personal circumstances certainly influenced his attitudes and ideas, the emphasis on the film as an autobiography obscures the degree to which the film transforms the world. In this regard it should be recalled that Vigo's career was closely affiliated with French avant-garde film activity in the late 1920s. Vigo did experience difficulties in the production of the film, notably in the area of finance. But he was aided by a group of committed assistants. Foremost among those was Boris Kaufman, director of photography on all Vigo's films. They had worked closely on A propos de Nice , Vigo's first film, establishing the basis for future collaboration. This film revealed Vigo's interest in combining an avant-garde use of the medium with aggressive social critique. The music for Zéro de conduite was composed by Maurice Jaubert, and contributes to the overall tone of the film. He worked particularly hard on the music for the night-time revolt in order to achieve a dream-like effect; after writing the basic score it was rescored and recorded in reverse, and then re-recorded backwards to restore the original.